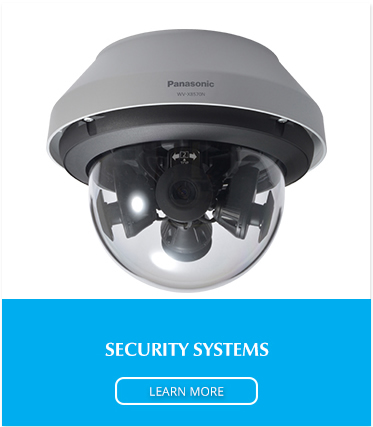 Panasonic's Wireless Video Intercom System brings upgraded features and ease of use of operation that will enhance security for your family. It can be easily installed and conveniently expanded. Lobby Station for Connecting up to 20 VL-SW250BX Systems (Apartment type System) - 4 Wire Connection (Max 100m) - Up to 20 Systems per Lobby Station - Supports Local PIN Number for Door Release - Room Number Plate - Enter Room Number by Digits. 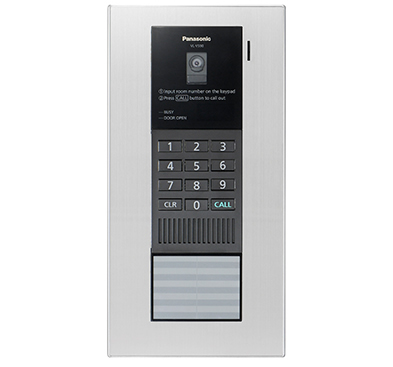 The VL – V590 comes embedded with characteristics like the electric lock release and a connectivity of up to 20 households. 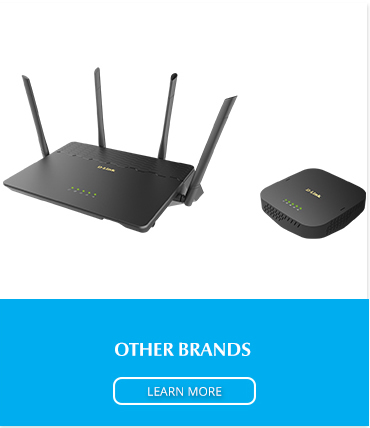 The product enables the connection of any combination of 7-inch wired monitors and 6 wireless monitors with intercom calling facility respectively. Optimal for establishments such as apartments, the product allows the user to enter the installation with the help of a PIN lock code as well. Panasonic VL-MW251 Overview Information coming soon! 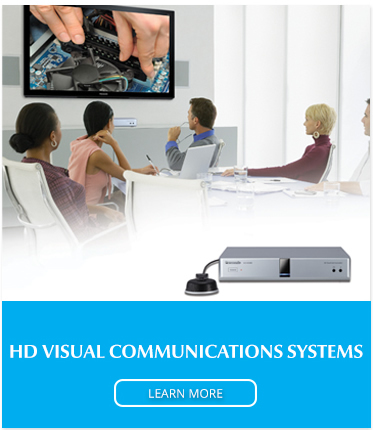 Panasonic VL-MV26 is a main monitor with the ability to record Up to 30 images (up to 30 visitors, 1 shot per visitor). 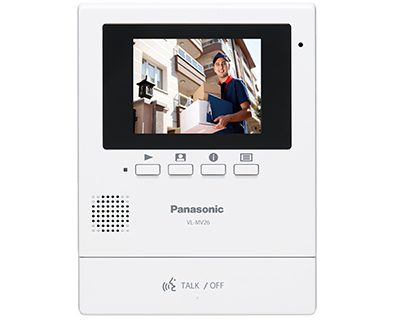 Panasonic's Wireless Video Intercom System brings upgraded features and ease of use of operation that will enhance security for your family. It can be easily installed and conveniently expanded. Lobby Station for Connecting up to 20 VL-SW250BX Systems (Apartment type System). 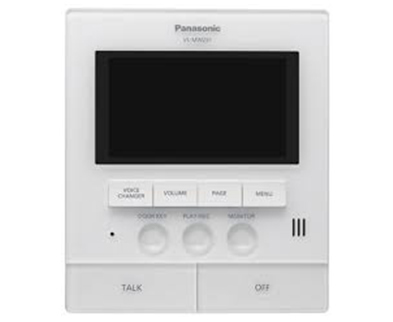 Panasonic VL-MW251 Features coming soon! 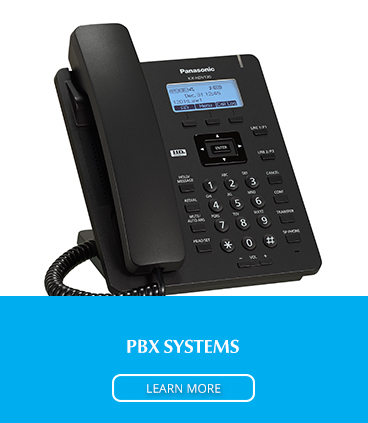 Corrington Business Systems has been in existence since 1995 when it was appointed by Panasonic Corporation, Japan as its official agent for sale and service of its Telecommunication/Office automation and security systems products. © Copyright Corrington Business Systems | All Rights Reserved.